BMW Wins Handily At The Beach! 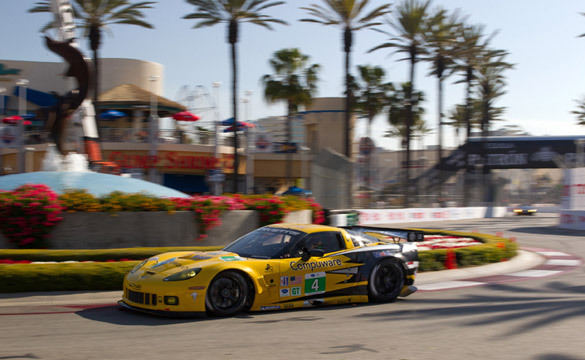 LONG BEACH, CA – Racing at the Beach, is there any better to take the sting out of tax day? Not in my book! As has been the norm the past several years, Long Beach was home to the IndyCar league as well as the Tequila Patron American Le Mans Series. 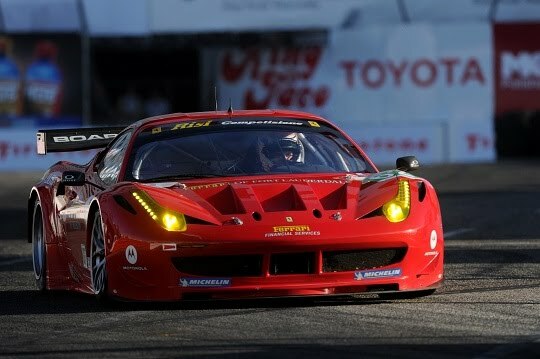 The most exciting race was the ALMS GT2 featuring the competitive BMWs, Corvettes, Porsches and Ferraris. The tight city streets seemed to favor the BMWs this year, ending a two year winning streak for the Flying Lizards Porsches. 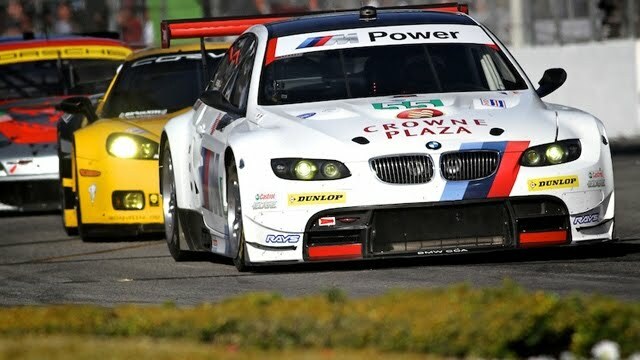 The BMW M3 of Hand and Muller started from the pole and easily took the lead early in the race. A mishap by teammate Bill Auberlein in the Fountain turn resulted in the two bimmers to be stopped on the track. After extricating themselves, it took Hand a mere 15 minutes to get around the lead Porsche of Parick Long and the Corvette of Oliver Gavin. In the end, it was the BMW followed by the #4 Corvette driven by Gavin/Magnussen. Third place went to the beautiful Risi Competizione F458 Italia driven by Vilander/Melo. 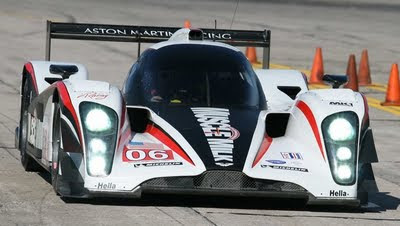 The LMP1 race was a bit boring with only two cars entered – the Muscle-Milk Aston Martin and Mazda-powered Lola of Dyson Racing. Starting from the pole, Chris Dyson-driven the Lola/Mazda was passed by Luhr on the first lap. The Aston went on to an overall and class win with a 24.624 second margin. "In my head, I had planned to get by Chris in the first corner, but that didn't work out quite well," Luhr said of the start. "He really made a good start and didn't give me a chance to get by him. But I saw I was quicker in the Carousel, so I dived into Turn 5 on the inside and tried to build out a gap." LMPC was won by the CORE Autosport Oreca FLM09 of Jeannette and Gonzalez. The GTC class was won by the Porsche GT3 Cup car driven by Pappas and Bleekmolen. LMP2 was a one horse race by Level5 Motorsports. Now that the open wheelers no longer run turbos, racing at the Beach for these cars is not the same. The tight street course makes passing very difficult for the open wheelers, and no longer do the tunnels resonate with the pops of blow-off valves and wastegates. Nonetheless, the Beach is one of the most popular venues for the IZOD series. This year’s winner was a surprise with 3-year veteran Mike Conway crossing the finish first. It did not look like it would be his day after locking up in the pit lane during his fist pit placing him at the rear of the pack. But the calm Englishman kept his composure and ran a cool and calculated race, being at the right place at the right time during the restarts. 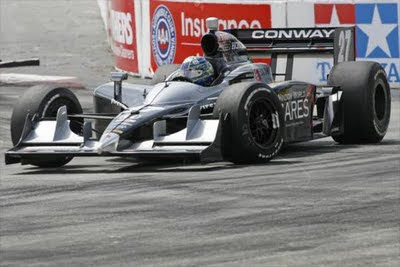 "It looked a bit difficult here earlier this weekend,” commented Conway, “but this morning I knew the car would be fast. It was really tough to overtake here, but they just told me to hang in there. The team did a great job; good strategy. I can't thank the guys at Andretti Autosport enough, as well as everyone at Window World Cares and DHL, for putting their faith in me." 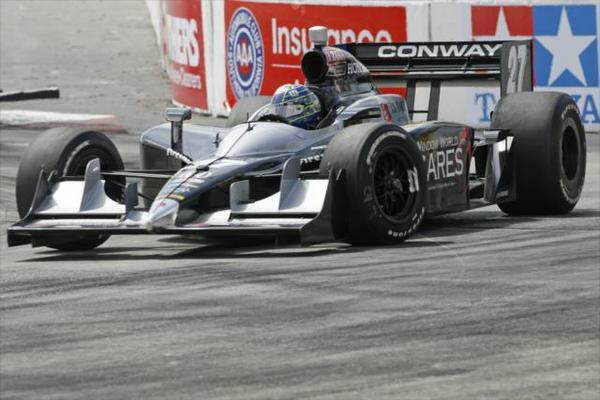 Penske Racing’s Ryan Briscoe managed a 2nd place finish while IndyCar champ Dario Franchitti finished third. 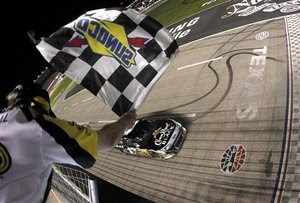 FORT WORTH, TX – It was Matt Kenseth’s first win in 76 races, but from his performance Sunday, it is hard to imagine he was out of the winner’s circle this long. Kenseth clearly dominated the race with his Roush-Fenway Ford leading 169 of 334 laps and crossing the finish line 8.34 sec ahead of Clint Boyer. Roush teammates Carl Edwards and Greg Biffle followed in 3rd and 4th places respectively. It was an impressive night for the Roush-Fenway team as David Ragan finished in seventh place. Kenseth’s win was an important one for the 2003 series champion and was also the first victory for Crew Chief Jimmy Fennig since 2005. After heading up the Roush R&D department, Fennig was recruited as crew chief to the No17 team at the middle of last year in an effort to turn their program around. Together, the Wisconsin natives were able to pull it off with an unquestionable victory at Texas. After winning 2 of the first 3 races of the season, Roush’s dominance in 2011 was in doubt after wins by Hendrick, RCR and Gibbs in subsequent races. But the performance of the Roush-prepared cars at Texas has re-established the Fords as the favorite for 2011. 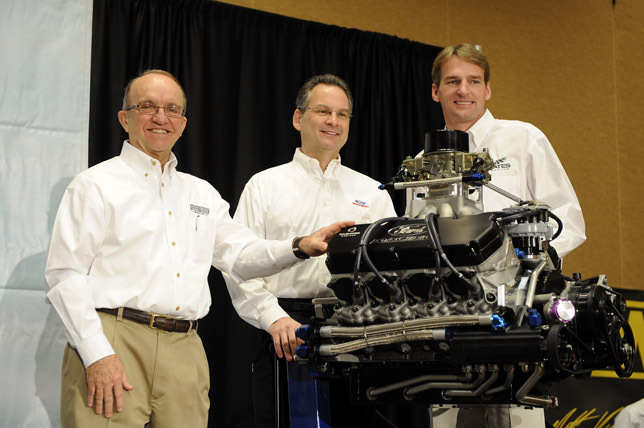 "I am really proud of what we have been able to do in 2011," Roush Fenway Racing owner Jack Roush told reporters Sunday in Texas. "We tuned up our engine with Ford's help over the winter and got a new Ford nose [for the car]. Everybody got a new nose this year, but our new nose is better than our old nose and we have our FR-9 engine up to speed. All of that is going well." The race went relatively smoothly with a minimal number of accients. The first caution was on lap 11 following some fluid loss from the #37 Ford of Tony Raines. David Gilliland caused the second caution on lap 47 when he slammed into the wall in turn 1. The biggest accident f the night occurred on lap 216 as Martin Truex lost control exiting turn 2, possibly as a result of being tapped by Kevin Harvick. Mark Martin struck Truex’ car and slammed into the wall. 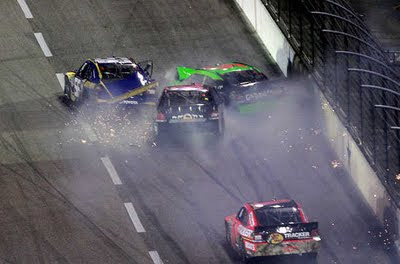 Regan Smith also suffered damge in the wreck.